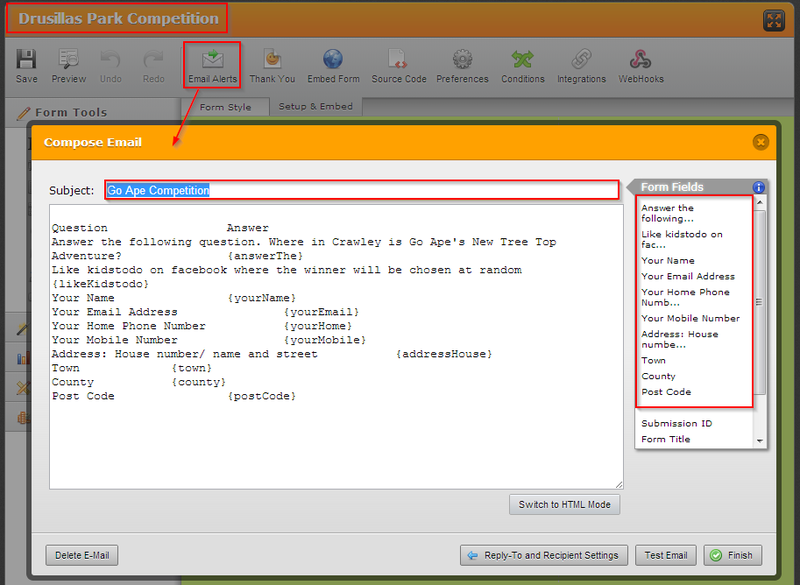 I have duplicated a form, the new form is called Drusillas competition and changed a question. The results of this form are correct on jotform but when they are emailed to me it shows the old form Go Ape and doesnt give me the answer to the question. Can you help at all? Checking on your Drusillas form, I can see that the EMail Alert for this form has yet to be modified properly. It still shows the Go Ape Email Alert. Kindly edit the Email Alert and test your form again. Great! If you do need further assistance do let us know. Thank you.